I’m all about great design and innovation, especially when they combine to create exciting new products and businesses. My professional journey began helping SME’s develop and bring to market a variety of new products ranging from consumer goods to industrial machinery and the occasional perpetual motion machine. 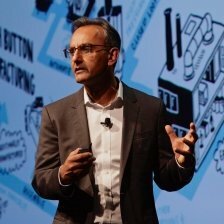 As the Senior Manufacturing Industry Manager at Autodesk, I lead a collaborative initiative focused on helping the industry apply technology to what matters most, making better products, selling more and generating greater profits. This means I spend most of my learning about the amazing things that ordinary businesses want to do with technology in this era of connection.